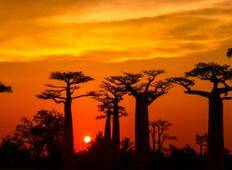 See the top Cultural trips that go through Tsingy de Bemaraha National Park, Madagascar. With 7 tours to choose from, they range in length from 8 days to 23. The most popular month for these tours is June, which has the most departures. "A very well thought out tour. Long days with generally excellent local guides and..."
Madagascar's West! 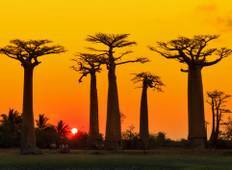 Baobabs, River Cruise, and Rainforests! "I would schedule a trip that did not require 8-12 hours of driving between sites..."